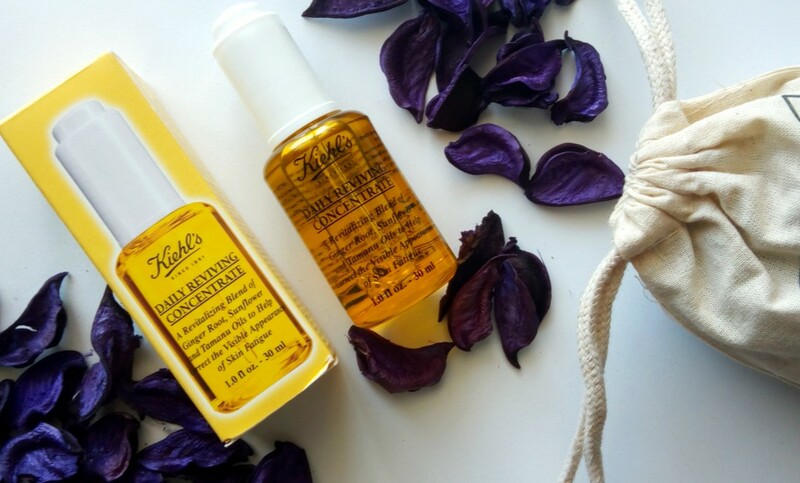 I am a big fan of Kiehl’s products. i already use their face wash, midnight recovery concentrate and line reducing serum. Their Midnight Recovery concentrate was one of my first purchase, and I swear by that product. I cannot literally go to sleep without putting few drops of it on my face. That’s the only skincare product that I travel with. I only need a few drops on my face at night, and it turns my extremely dry skin into healthy, radiant skin. It completely reverses the effects of a long flight journey. 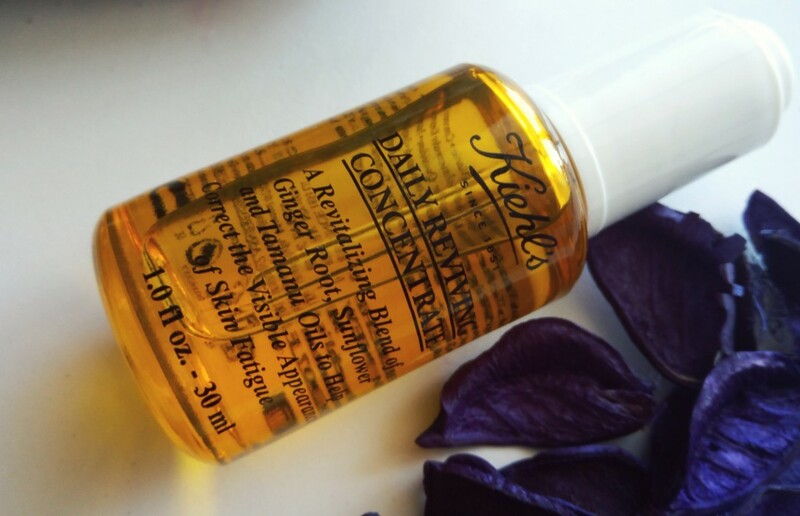 When I was invited last month for the launch of this Kiehl’s Daily Reviving Concentrate , I was super excited. You must have ready the full event post + pics here. 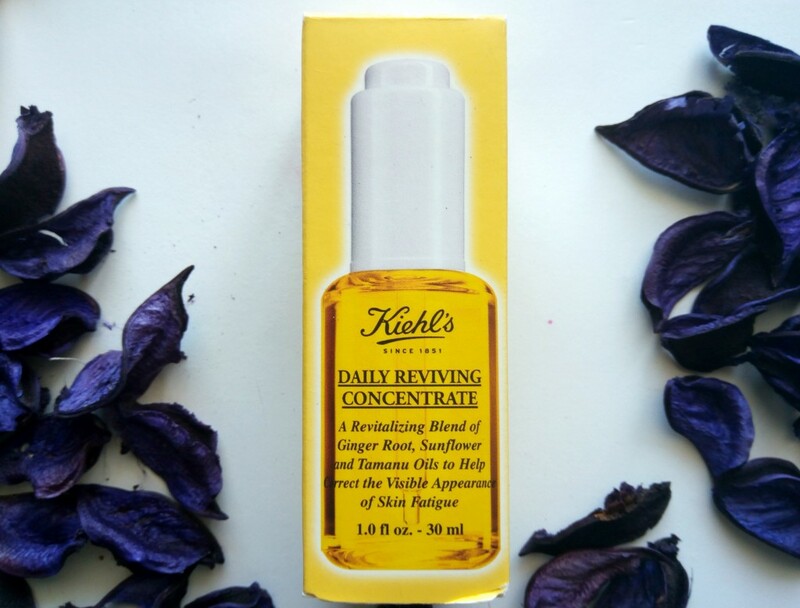 Kiehl’s Daily Reviving Concentrate is a lighter version of Midnight Recovery Concentrate. I was really lucky to get this wonderful product to take home. In this post, I am writing my experience using this products, my first impressions on using it etc. All skin types – even oily skin can use it as a facial oil. It is so light weight and it won’t make your skin any oiler. It won’t make your skin look greasy and it sinks into the skin really quickly. Tamanu Botanical Oil –Tamanu Botanical Oil helps to reduce the appearance of daily damage as well as replenish and soothe skin; sourced from the nut of the fruit of the Tamanu tree, which is indigenous to French Polynesia. 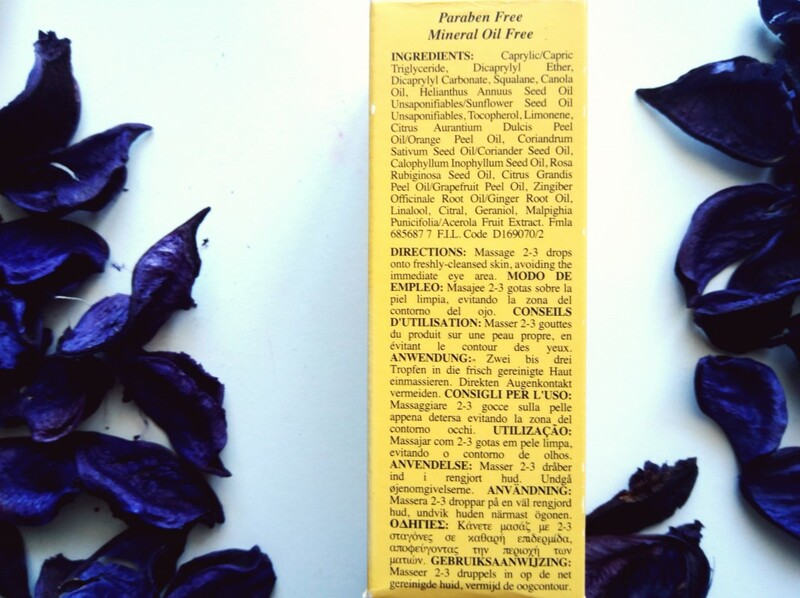 Sunflower Botanical Oil – Sunflower Botanical Oil helps to strengthen skin’s barrier; also known to improve skin smoothness, texture and hydration. Ginger Root Essential Oil – Ginger Root Essential Oil helps defend skin from free radicals and environmental aggressors with antioxidant protection. This is a facial oil that can be used during day time, it’s a very light weight oil than their Midnight Recovery Concentrate. It doesn’t feel greasy/heavy on the skin. It contains sunflower oil to help reinforce the skin barrier, tamanu oil to reduce the appearance of daily damage & replenish and soothe skin, and ginger root essential oil to preserve skin efficacy. I have a very sensitive skin and this product hasn’t irritated my skin or caused any breakouts. It really does an awesome job of hydrating the facial area. Also fight daily skin stresses and fatigue, helping to prevent your skin from looking tired. The dropper makes it super easy to control the product. last time I purchased some items from store, I got 5 ml sample versions of midnight recovery concentrate. I am planning to reuse the mini bottles to take the product in while travelling. I have a lot of long journeys coming up in Dec. I cannot ever travel without this product. Overall a wonderful product that fights daily skin stresses and fatigue, helping to prevent your skin from looking tired. Very very lightweight on skin and sinks into my skin very quickly. Never caused any irritation or breakouts. I find my skin more healthy and radiant throughout the day. Also, there are no dry patches on my face. I am doing the microdermabrasion treatment at home and this product helps a lot in healing the skin faster. Also, the fresh citrus scent is not overpowering even for my sensitive nose. Hydrates the skin all day. • Paraben free • 100% natural origin • Mineral oil free • Noncomedogenic • Non-acnegenic. Contains sunflower oil, tamanu oil and ginger root essential oil which are excellent for skin. I am very much sure, I will repurchase this product. I have already purchased one for my sister. 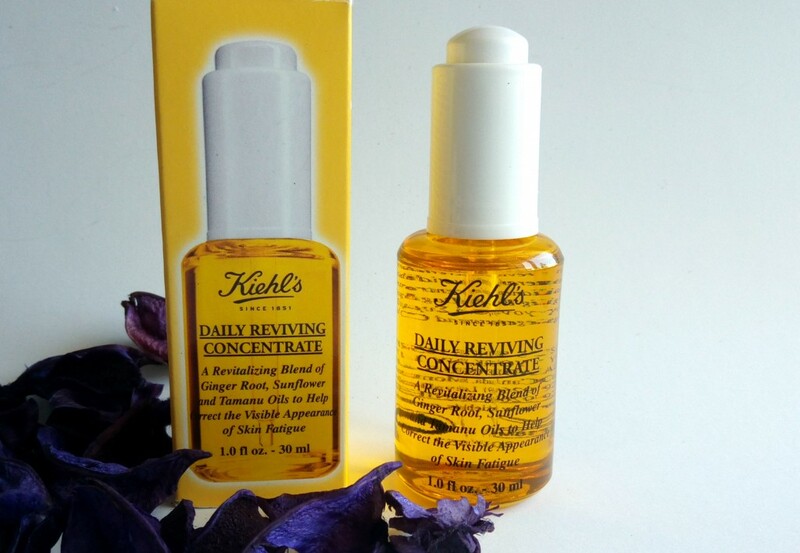 If you never tried Kiehl’s before- Start with this, Kiehl’s Daily Reviving Concentrate & Midnight Recovery Concentrate. 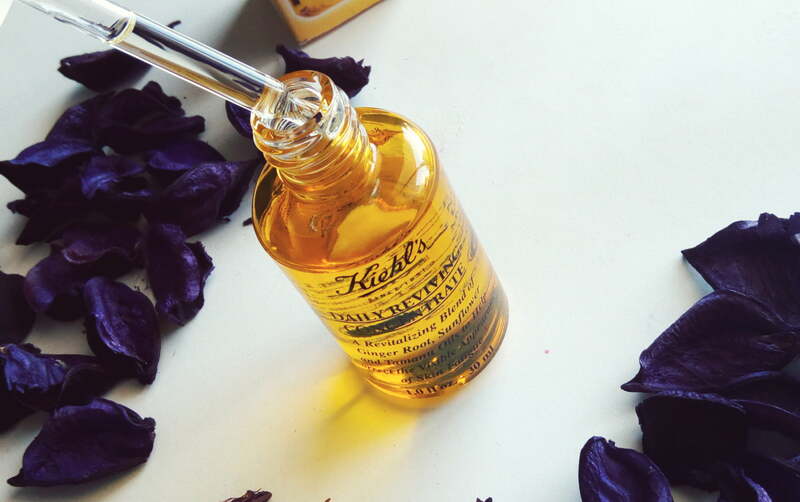 You skin will thank you for them and you will be forever hooked to Kiehl’s ! wondering? It’s a fact! I am such a fan. This product is definitely a keeper. Availability – Daily Reviving Concentrate – 30 mL ; Reatils for NZD $98 ; Kiehl’s is available from theflagship boutique in Brittomart, Smith and Caughey’s, Ballantynes and Kirkcaldie & Stains. 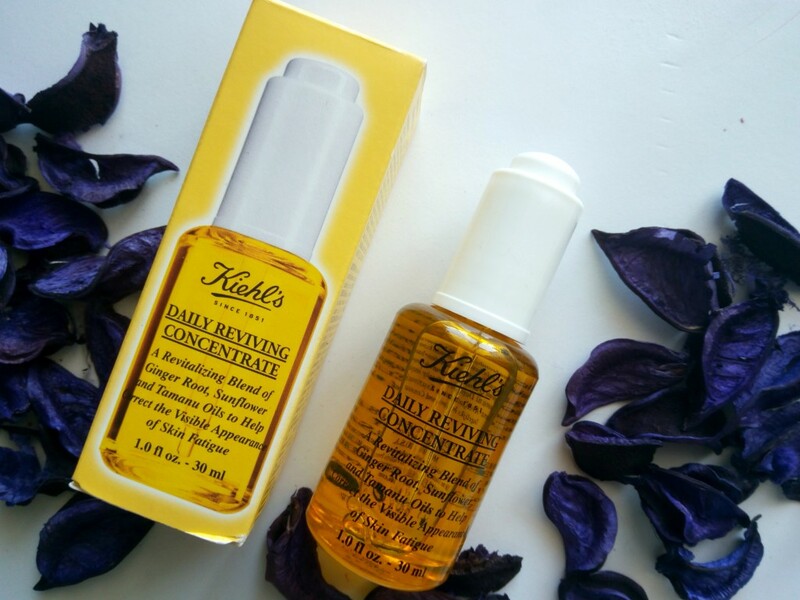 I am looking forward to buy a midnight recovery concentrate for myself (will soon finish mine) and try out more skincare products from Kiehl’s . 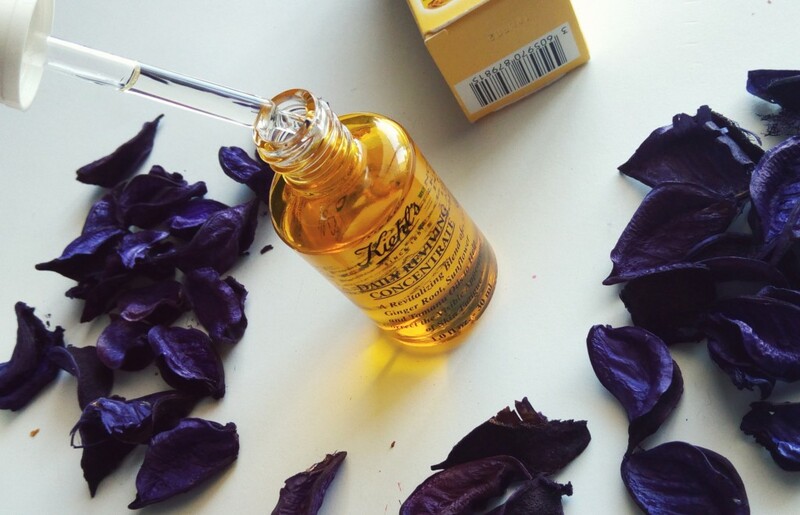 Have you tried any oils from Kiehl’s ? 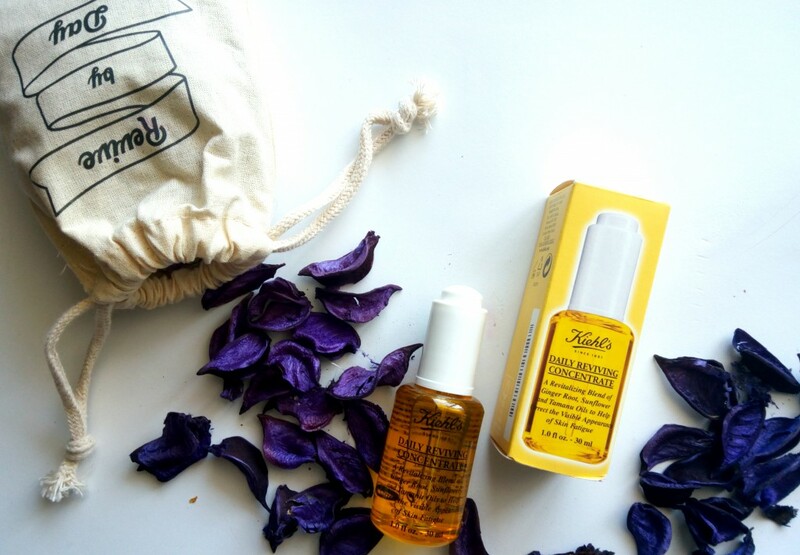 What’s your favorite product from Kiehl’s ? midnight recovery concentrate and daily reviving can be used…As its very light weight, it suits even oily skin. 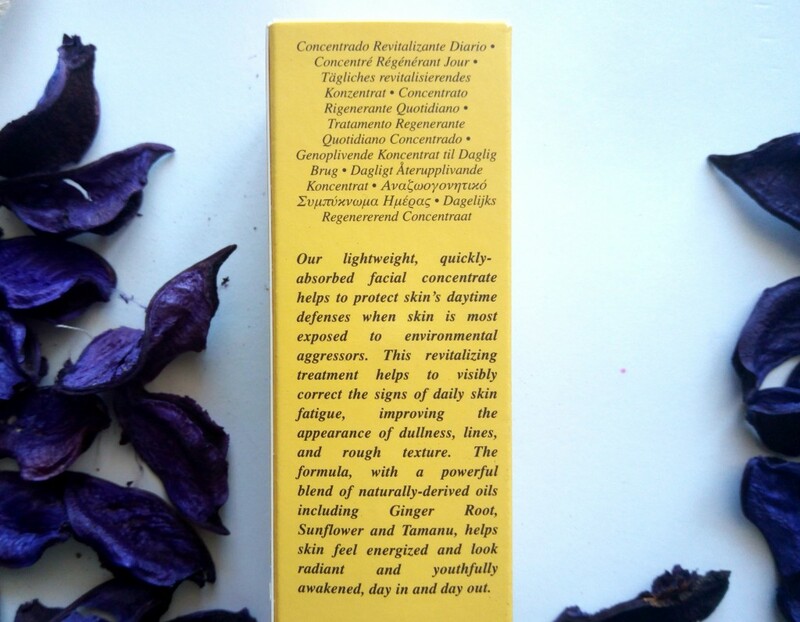 I have been using the Kama Ayurveda Kumkumadi Night serum and toatlly loving it! I’m so addicted to kiehl’s now.. the first product i used was Clear corrective dark spot solution n i swear by it.. second was turmeric masque.. now that I bought the second bottle of my CC solution and rare earth masque.. the sales women gave me so many samples of MRC, DRC and Iris essence.. I’m loving all three.. Have you used Iris essence? How’s it? The lady said it speeds up absorption level of further products..